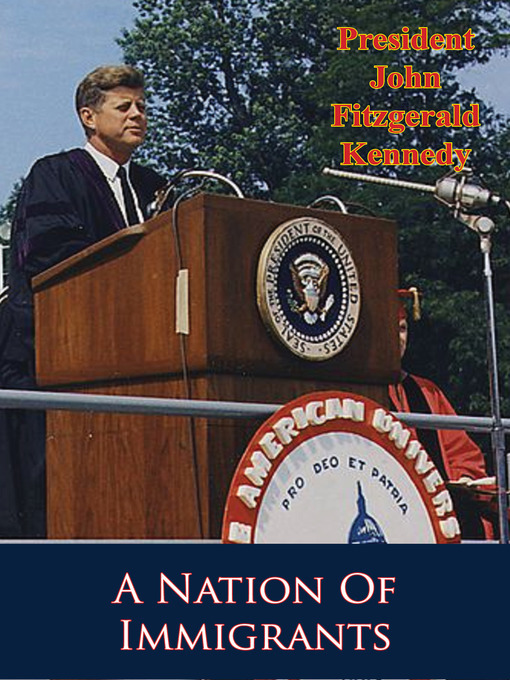 President John F. Kennedy's final book, A Nation of Immigrants, is a most worthy and relevant contribution to the contemporary debate on immigration reform. Throughout his presidency, John F. Kennedy was passionate about the issue of immigration reform. He believed that America is a nation of people who value both tradition and the exploration of new frontiers, people who deserve the freedom to build better lives for themselves in their adopted homeland. This modern edition of his posthumously published, timeless work—offers the late president's inspiring suggestions for immigration policy and presents a chronology of the main events in the history of immigration in America. As continued debates on immigration engulf the nation, this paean to the importance of immigrants to our nation's prominence and success is as timely as ever.-Print Ed.